I hope this whole Bird Box challenge died off by now. 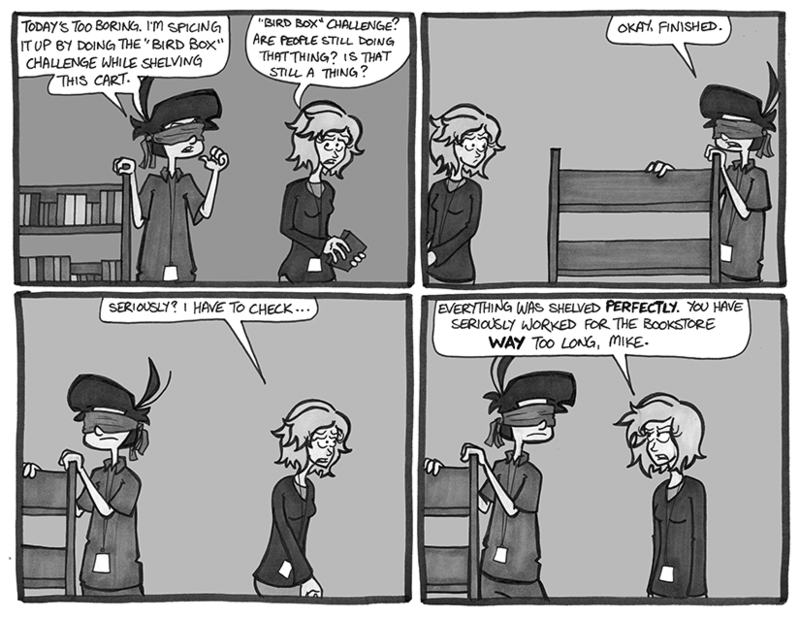 People doing things all blindfolded shouldn’t be a thing, it never should have started really. Common sense should have nipped that stupid idea in the bud. I have been shelving books for almost two decades now. It’s crazy. I’m starting to train new booksellers on shelving again and it hit me that after doing it for so long I can almost do this whole job with my eyes closed. I hope I can train people well enough to get to that point too. A bookstore can never have enough shelvers.